LOCAL artisan food producer, Shuck Oysters, has picked up both a gold and silver medal at this year's prestigious Australian Food Awards. 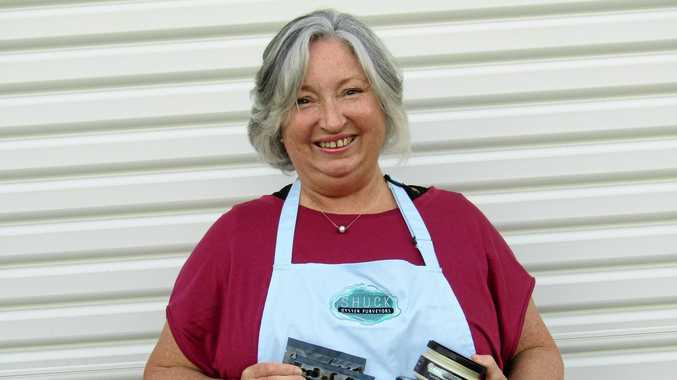 Ballina-based Shuck's 'Australian Whole-Smoked Oysters in Sunflower Oil' product was awarded gold in the smoked seafood class, while Shuck's 'Smoked Oyster Paté' was awarded silver in the dips and tapenades class. Shuck's products won over a very strong field of artisan producers from all across Australia, and comes on the back of Shuck receiving People's Choice Award Dish of the Day at last month's Ballina Food and Wine Festival. "It's very exciting for such a young company to win such a prestigious accolade,” Shuck's founder Lucy Ashley said. "It's taken a great deal of persistence, determination and trial and error to get to the point where we have products that people absolutely love,” she said. Shuck was born over Christmas in 2013, when Lucy realised that after a career in advertising, she needed a change. She started creating delicious oysters for friends, who encouraged her to take it further, and she decided to start her own business. After a steep learning curve in the early stages of building her business, and moving into her West Ballina premises, Lucy started selling her products at the Ballina Farmers Market. In the future, Lucy hopes to spread Shuck's products nationally, and perhaps even send Shuck's products out into the international market. Shuck Oysters is an exclusive agent for Australia's Oyster Coast, which is the nation's largest cooperative business, providing Lucy with some of the best quality, premium oysters produced in the country. As well as her award-winning products, she also sells seasonal favourites, such as the wintry oyster chowder, and special oyster shooters in summer. She has also created a delicious adaptation of chilled osyter kilpatricks, and of course she sells fresh premium Sydney Rock Oysters at the market, which she is happy to shuck fresh for you while you shop. Shuck's award-winning whole-smoked oysters and smoked oyster paté are available every Sunday morning at the Ballina Farmers Market at Missingham Bridge.